Cheeky Panda wants to save 'millions of trees'. Toilet paper. We all use it but it’s not something that comes up often in polite conversation. The market for loo roll isn’t an especially dynamic one. Look in your local supermarket and you’re likely to find a painfully coarse value brand, a generic own brand and two or three ‘premium’ brands like Cushelle, Andrex and Velvet. Unlike most other supermarket aisles, which have been under siege from creative entrepreneurs (and FMCG giants) with ideas for luxury sauces, free-from milks and organic shower gel, the toilet roll section remains largely untouched. Perhaps that’s a missed opportunity? 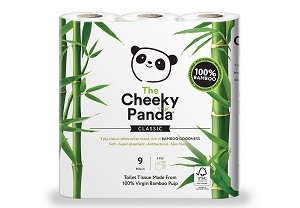 One couple hoping to wipe up a share of the market is Julie Chen and Chris Forbes, founders of the Cheeky Panda. Globally, people flush away the equivalent of 17,000 trees worth of toilet paper every day. 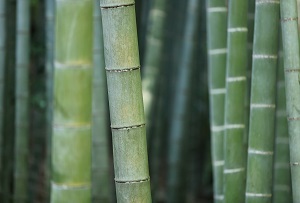 So their toilet paper is made from 100% bamboo which, being a grass, grows back much quicker than trees and can be harvested each year. It therefore needs less space to keep producing the same amount of pulp. The pair managed to raise more than £10,000 to get the venture off the ground through Crowdfunder and have also managed to get an angel investor and two non-execs (Lloyds’s head of global transaction banking Ed Smith and GKN’s global head of ecommerce and digital media Khurram Hamid) on board. Cheeky Panda is also branching out into tissues, wet wipes and napkins, which will launch shortly. For the irritably-bowelled goth in your life. These ‘successful and iconic’ black loo rolls made by Portuguese company Renova are available in a three-roll gift set for the princely sum of €9.74 (£7.54). Also available in fuchsia, orange and rose. No article about toilets would be complete without a mention of our friends in Japan. The country that brought us self-warming toilet seats and built-in bidets does a nice line in loo roll too. Hanebisho, reputedly the world’s most expensive toilet tissue at £11 a roll, is made from the ‘finest’ wood pulp, imported from Canada, and water from the Niyodo, the cleanest river in Japan. 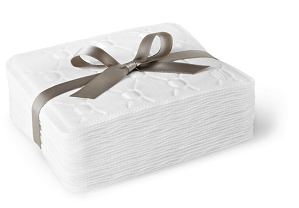 If you’d prefer your toilet tissue in a dainty pile instead of a roll then look no further than Joseph’s Toiletries. ‘A specially woven, vitamin-coated outer layer provides maximum security and skin protection in moist condition while a soft-fluffed inner core adds optimal absorption and plush softness,’ the company’s website reads. A snip at 12 Swiss Francs for 25 sheets (those feeling flush might want to splash 1100 francs on a ‘warped ebony macassar’ toilet paper holder too). Are Europe's unicorns getting more elusive?